We know Richard the Lionheart had any number of detractors and outright enemies. In this case, I’m not talking about King Philip of France, Henry VI, Holy Roman Emperor, John, Count of Mortain (Richard’s brother, the future King John of Magna Carta fame), or other contemporaries of Richard. As I work through through final checks of For King and Country, I’ve been reviewing my notes, following up on some 12th century Lincolnshire history, and discovered this little tidbit. I couldn’t resist sharing this ‘gem’ with you. Do you detect a bit of contempt there? Get it for Kindle & Nook and at Smashwords. will be published in 2015. Contempt and bias methinks. I’m no lover of royals but….. Thanks for stopping by and commenting micklively! I think you are definitely right about the bias. 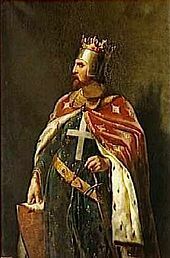 loved the picture of richard the lionheart, where can I find an everyday outfit like his? wouldn’t i look quite sporting in it? i’ll check Michael’s Men’s Wear! Pingback: Research gems: the scallawag, John, King of England | The Many Worlds of Char…. I wondered whether he was being very tongue in cheek. I’m no expert, but I’ve always viewed Richard as a pretty useless king so far as England is concerned – he was more French, anyway – and he certainly spent most of his time somewhere else. Probably a bit of a thug?! Medcalf admits he isn’t a historian, but his writing reflects attitudes of scholars from 19th-20th centuries – there definitely was an anti-Richard bias, which still exists. In that same work, Medcalf goes on to blast John severely (https://charlenenewcomb.com/2015/09/20/research-gems-the-scallawag-john-king-of-england/). Personally, I’m a Richard fan. If you consider that half of his kingdom was across the Channel, and that the King of France invaded his realm – what’s a king to do? Most of the problems during Richard’s reign after he returned from the Holy Land occurred on the continent, and kings in medieval times were generally on the front lines, which meant Richard could not spend a lot of time in England. 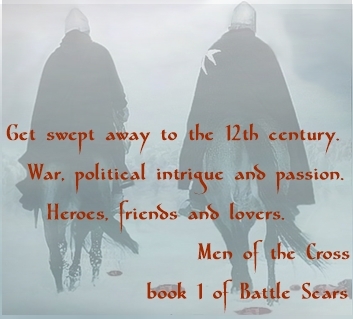 He definitely was a son of Aquitaine, having spent a good bit of his childhood there – his heart was there. But his tenants-in-chief in England (both lay and churchmen) came through when he asked for men & money to support the war against France (well, all but Bishop Hugh of Lincoln). They recognized that Richard had the right to defend his inheritance. A thug? Hmm… Definitely a warrior (and a brilliant one at that), who did do some brutal things, as they all did in warfare. 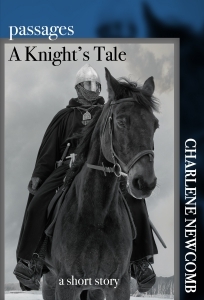 His troops admired him – he often put their safety ahead of his own.